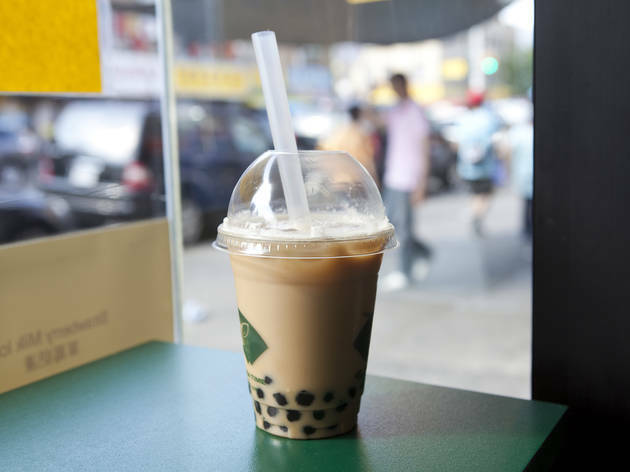 Bubble tea, a tasty import from Taiwan, is being stirred up all over NYC. Chew on this list of places to find boba. 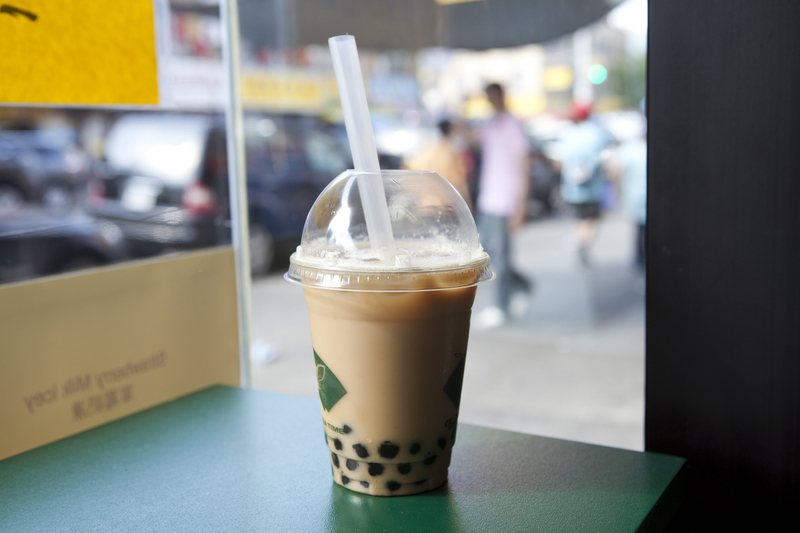 Bubble tea can provide a sweet, refreshing relief after a hectic work or on a weekend outing. Whether at an established chain or locally owned shop, this Chinatown staple is quickly becoming one of our favorite cheap eats in the city. 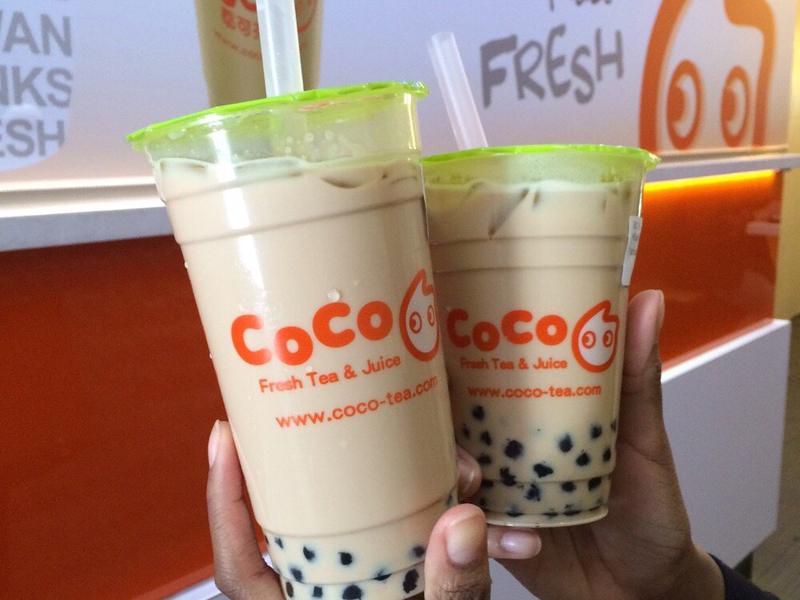 So next time you're in the mood for boba, go ahead and get one from these spots. 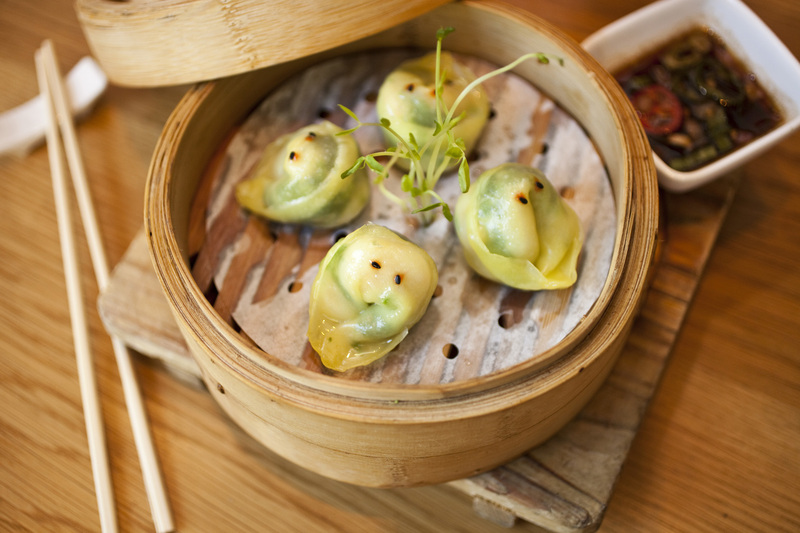 And we wouldn't discourage you from pairing your bubble tea with some tasty grub at a standout Chinese restaurant. This San Franciscan company has gone cross-country with stores on the Lower East Side, Greenwich Village and Canal Street Market. 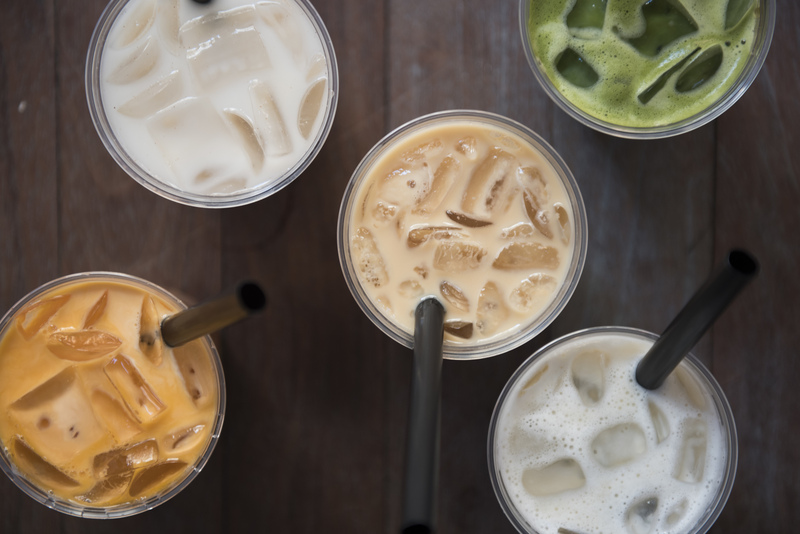 Pushing aside powders, their drinks go all natural with tea leaves, organic milk and house-made syrups. 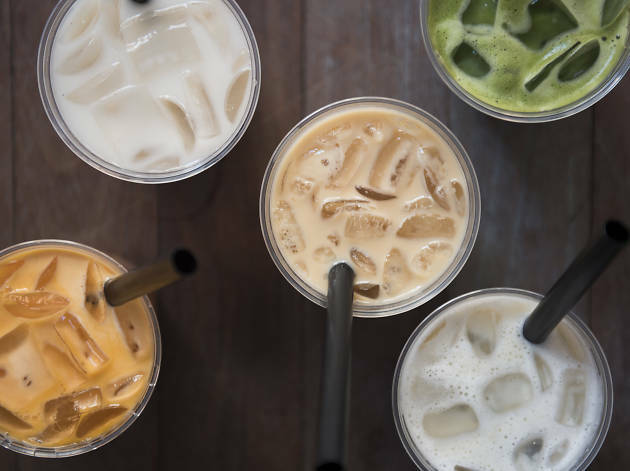 Menu lists range from classic milk tea and Jasmine milk tea to their Dirty Horchata, topped with espresso, and the Strawberry Matcha Latte. This cozy Astoria storefront also skips artificial ingredients and instead uses teas from all over the world, along with spices and fruits. Their Signature Taro Root Milk Tea mingles pureed taro with black tea nicely, while their Roasted Oolong Tea with Signature Cream unleashes creamy goodness upon a good shaking. 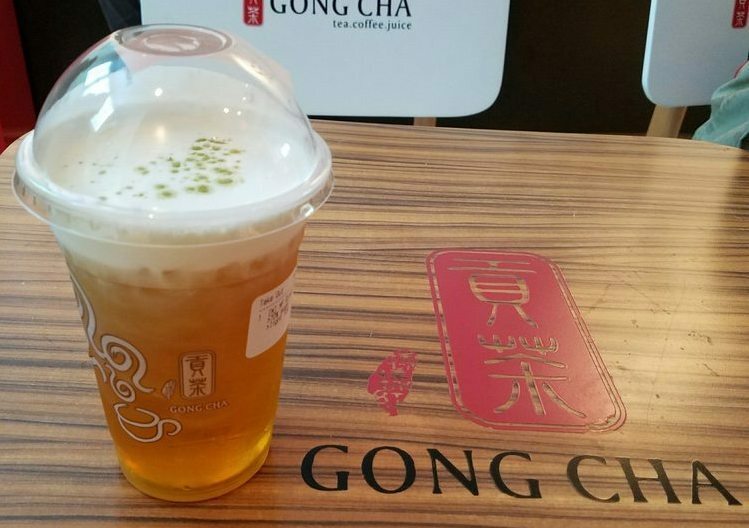 With a ton of stores throughout Manhattan plus some in Brooklyn and Queens, the U.S. portion of this franchise gets high-quality ingredients imported directly from Taiwan to authentically produce a flavorful and freshly made tea. Choices are plentiful too: Tea types extend to fruity picks like passion fruit, honeydew, mango, lychee and kumquat to milky tastes such as chocolate, coconut, taro and green tea. 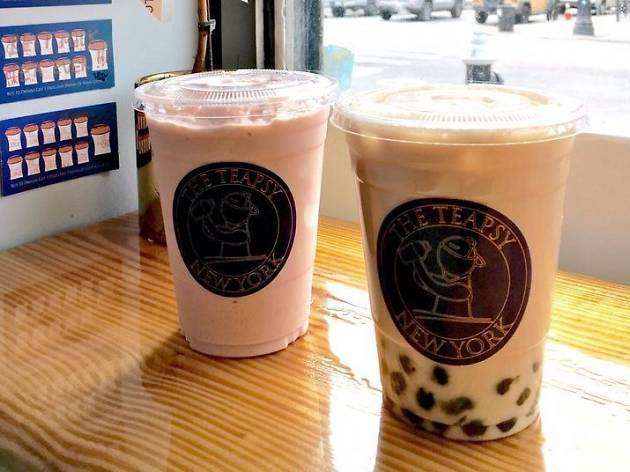 Given kudos for its friendly staff, this Astoria café prepares made-to-order teas with an emphasis on customization: iced or hot, sweetened or not, dairy or non- dairy (almond, soy and coconut milk can be opted for). Another bonus: a card rewards program with a buy-10-get-one-free deal that apparently is quite reachable; completed cards are posted on the wall. 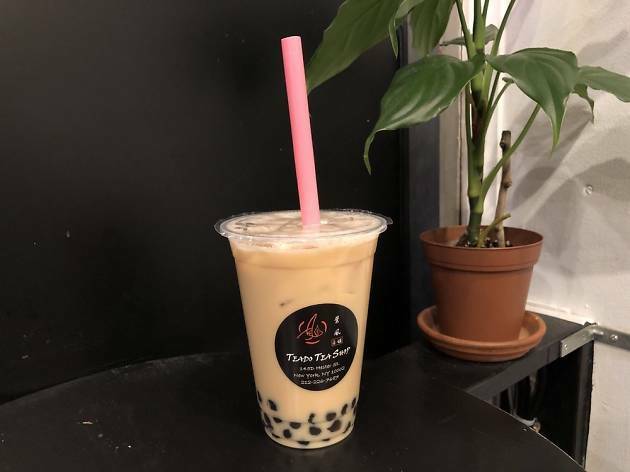 Having opened its first store in NYC over three decades ago, this tea fixture has blossomed over time with locations in Queens, Manhattan and Brooklyn, but more so with a bubble tea shop along Mott Street. 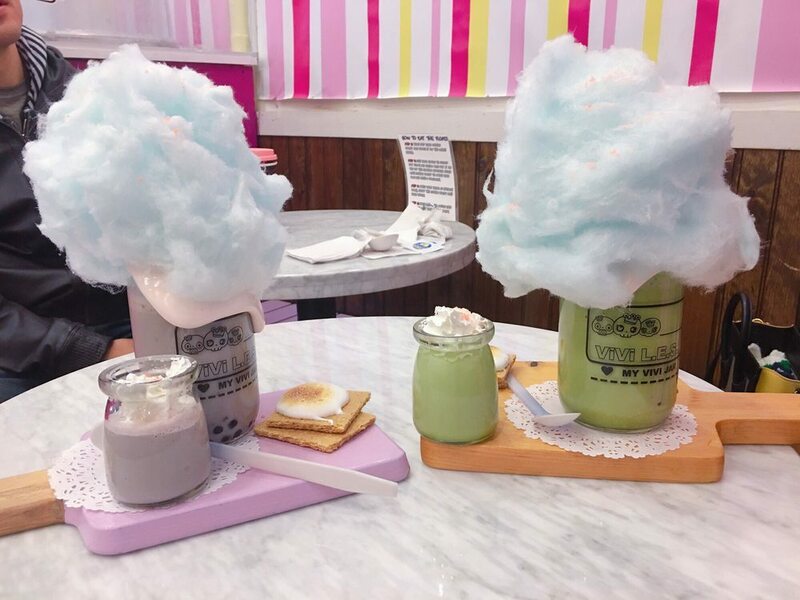 At this bustling, bright-green location, browse the wall menus for choices of flavor blends and fruity slushes and milk teas. Note: It’s cash-only here. With 22 stores throughout NYC, this global brand from Taiwan switches up the teas stateside by introducing drinks that suit American palettes. 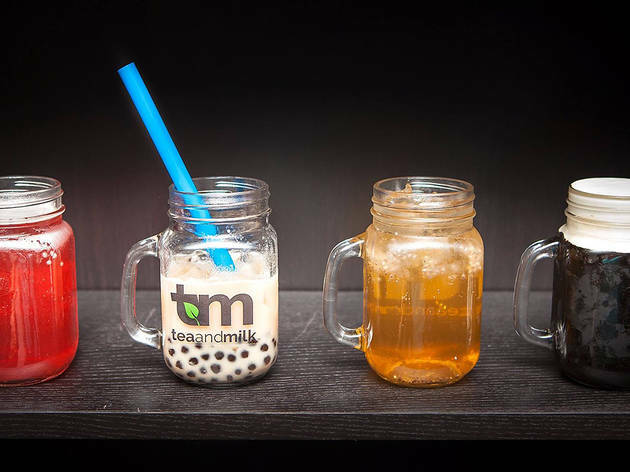 As for customers on this side of the globe, they apparently savor their nutty taro milk tea and floral Jasmine milk tea. 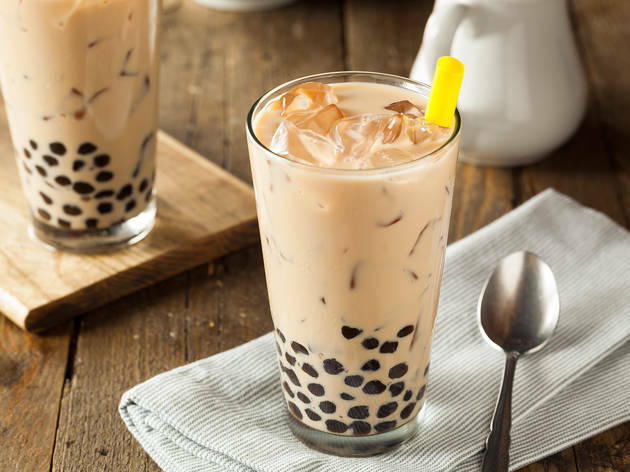 And tapioca bubbles are kept within their optimal taste period to make certain they’re nice and chewy. It’s easy to pass by this simple and small tea post, but the glass-front shop delivers big on consistent quality. It’s contentious too, so go ahead and ask the counter person for input on sweetness levels or guidance on flavor decisions (just don’t expect to leave in a hurry). 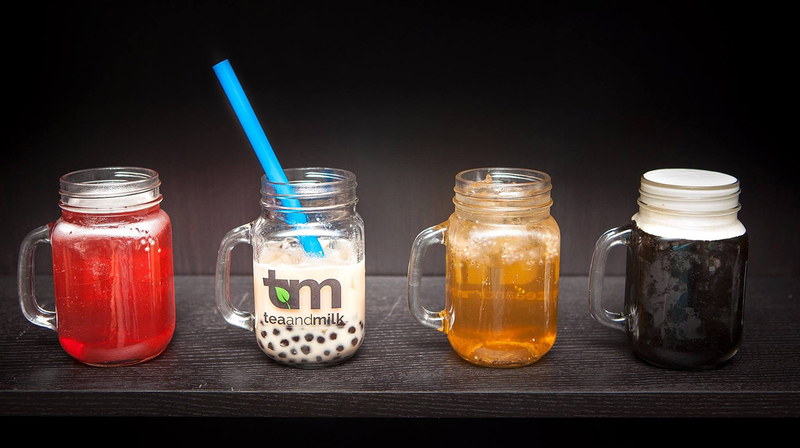 Popular option include Earl Grey black milk tea, rose Jasmine green tea and grapefruit green tea. 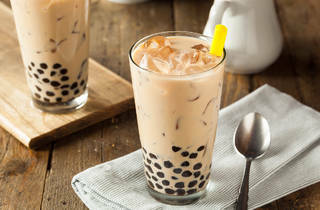 Their house brand specialty is what’s called a “milk foam,” described as a “slightly salted cream that sits on top of freshly brewed tea.” As for the Taiwan-sourced teas, popular flavors are the Pearl Milk Tea (their version of black milk tea), Milk Foam Green Tea, Taro Milk Tea and Lychee Oolong. 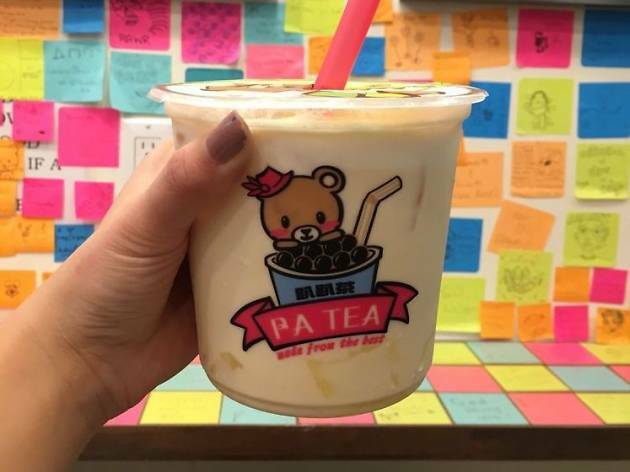 With locations in Chinatown and Gramercy, this tea shop seemingly is all about cuteness with its bear mascot, mini-size bubbles and stubby cups. And the teas can be sweet too. 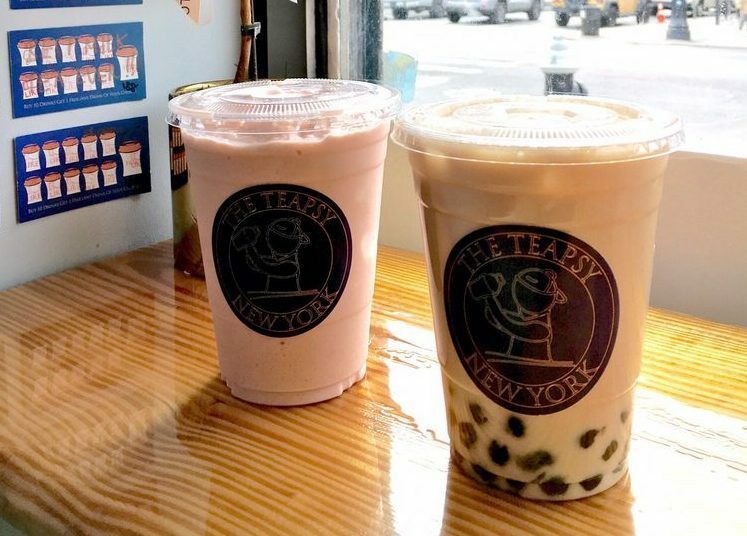 At the Mott Street and 14th Street locations, popular picks include the rose milk tea and passion fruit milk tea, respectively. 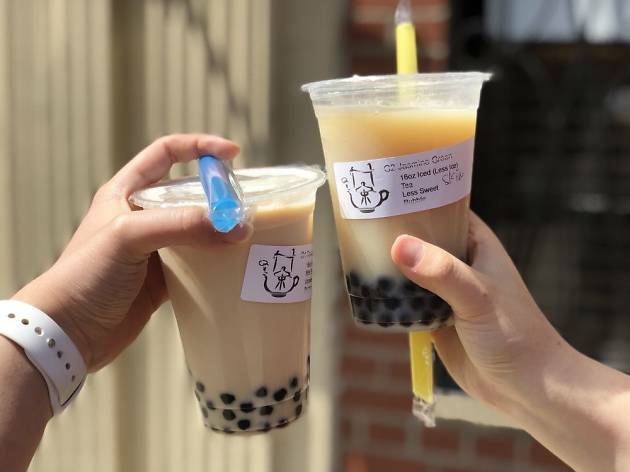 Since 2013, this petite Morningside Heights café and bakery has been serving bubble teas alongside some very nice pastries. 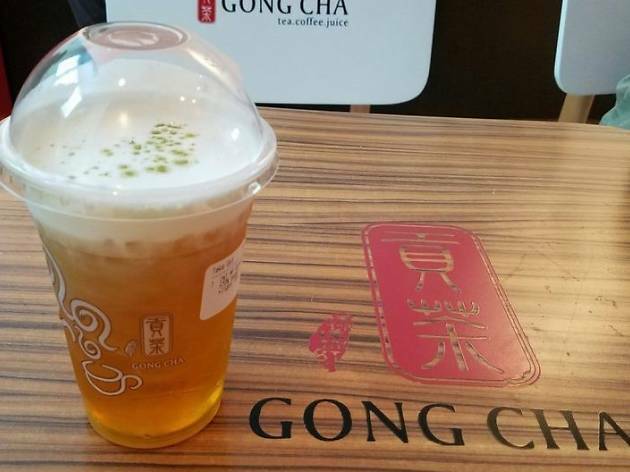 Picks include black teas , green teas and oolong teas before you specify your order as either hot or iced, then sweet or not, and finally, add in some bubbles or lychee jelly at a small additional cost. Gather a crew to feast on a midday Chinese meal. 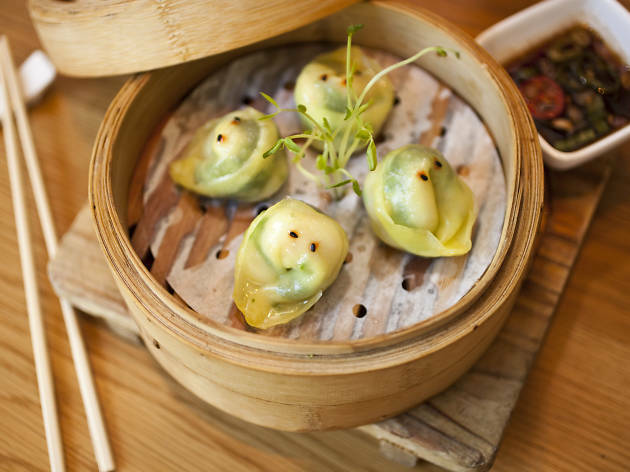 Here are the best spots for dim sum that NYC has to offer.